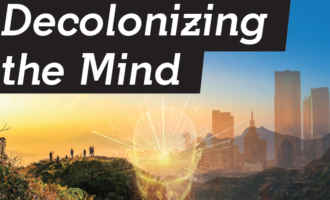 On today's Coffee Table, we look at efforts to limit and resist the effects of colonization. We discuss how artists are tackling decolonization and how indigenous people are using techniques such as mindfulness and other practices to replace feelings of hopelessness and negative thinking. Joining us is Michael Yellow Bird, director of Indigenous Tribal Studies and professor of sociology at North Dakota State University, Hannah Gustafson, coordinator of Mobilizing for Action through Planning and Partnerships and a leader of the Southern Kenai Peninsula Resilience Coalition and Asia Freeman, the artistic director of the Bunnell Street Arts Center. Photo courtesy of Gary Stevens. On this edition of the Coffee Table, KBBI News Director Aaron Bolton is joined by Sen. Gary Stevens to talk about Gov. Mike Dunleavy's first State of the State address, the governor's upcoming budget proposal and the legislative session. It's been years since Alaska began working toward the AKLNG project that would pipe natural gas from the North Slope to Nikiski. Where is the project at now? And how could it impact the Homer area? On the Coffee Table, we discuss these topics with Alaska Gasline Development Corporation Senior Vice President Frank Richards, Homer City Manager Katie Koester and Kenai Peninsula Economic Development District Executive Director Tim Dillon.